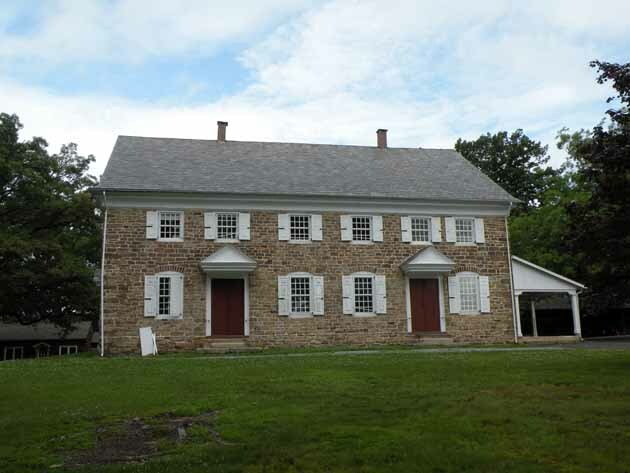 The Buckingham Meeting was organized in 1720 on land originally owned by John Kinsey. 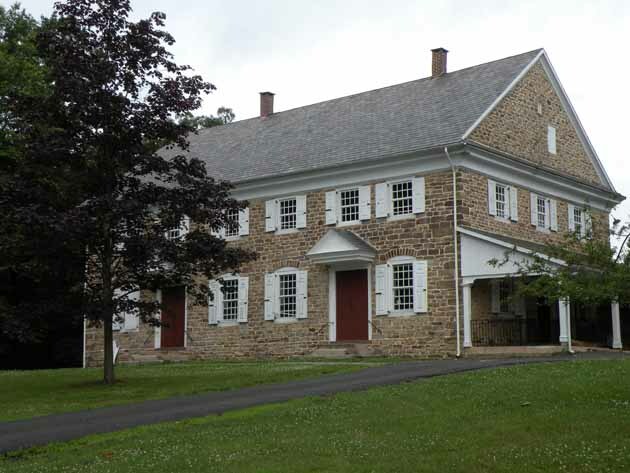 The current meetinghouse was built in 1768 after the prior one burned down. 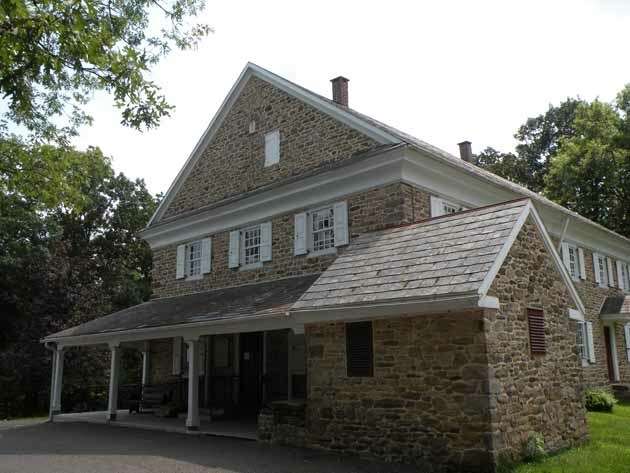 When Washington’s army marched from Valley Forge to Monmouth, they traveled the York Road and passed the meetinghouse, which served as a hospital for the sick and wounded. 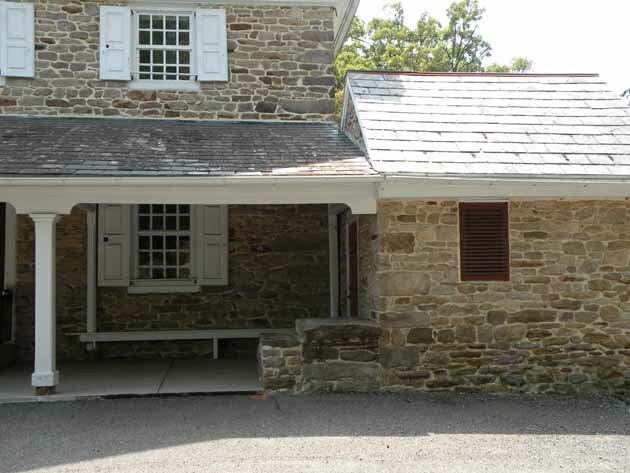 The York Road originally ran behind the meetinghouse, between it and the walled graveyard. When the road was transformed into a turnpike around 1857 and relocated to its current position (State Route 202), the graves of several Revolutionary soldiers were discovered. 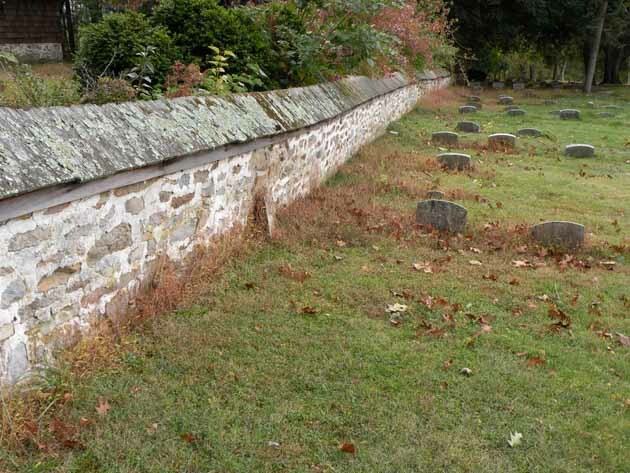 Quakers were pacifists and anyone who did not follow the peace testimony of the Society of Friends was not supposed to be buried in the graveyard, so the soldiers were buried outside the walls.